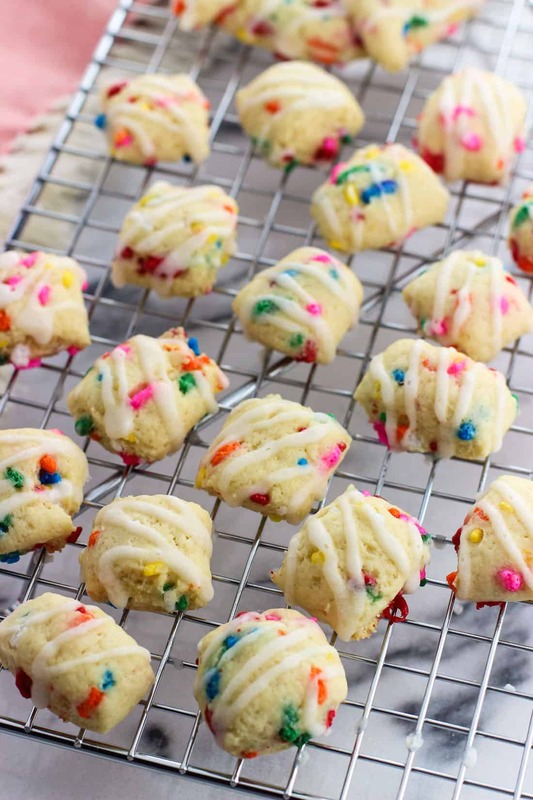 Funfetti soft pretzel bites are an easy and poppable sweet treat the whole family will love. This sweet soft pretzel dough recipe contains no yeast so there’s no rise time required. Happy Monday, guys! Typically I’m not one to extol the joys of a Monday, but there’s a high probability that when this post goes live, I’ll be clad in comfy clothes and snuggling in bed with my BFF Netflix. Love those three-day weekends. And how was your Valentine’s Day? Mine can be summed up in three words: wings, wine, and Redbox. Okay, four – chocolate needs to be in there, too. We didn’t do anything fancy (I mean, we were in sweatpants, on our futon, watching The Family) which was quite alright by us, but I felt that the occasion still deserved homemade baked goods. 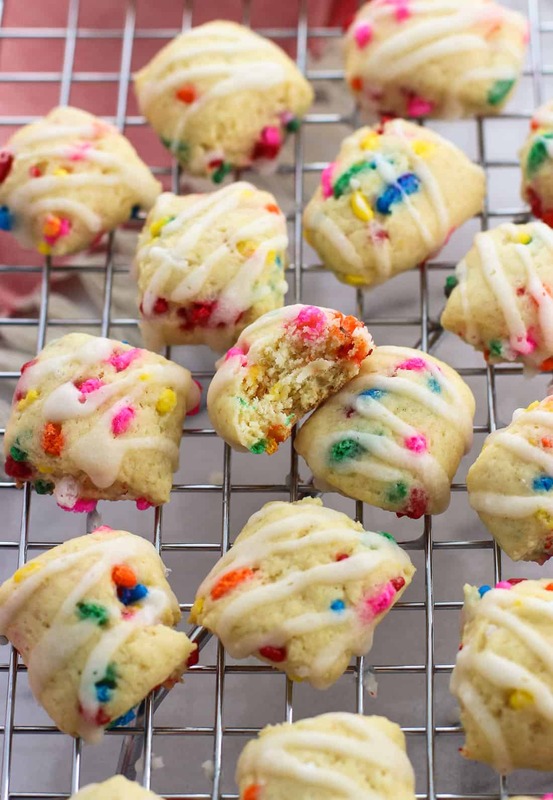 Specifically these funfetti soft pretzel bites! 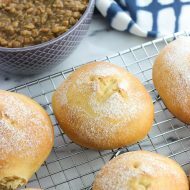 This moist, vanilla-flavored soft pretzel dough comes together quickly and is studded with sprinkles and topped with a vanilla glaze for a fun dessert recipe. 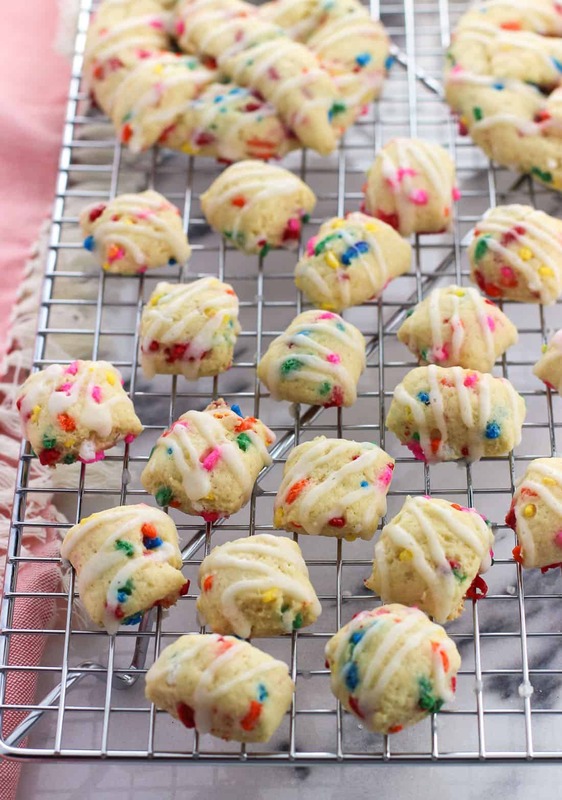 First things first – if you’re yeast-phobic, there’s no need to freak because these funfetti soft pretzel bites are yeast-free. That also means there’s no rise time required, which helps speed up the process! These pretzel bites are moist due to several of the ingredients, including yogurt, melted butter, and instant vanilla pudding mix. I mixed one ounce (a little over two tablespoons) of dry pudding mix into the dry ingredients and in addition to adding extra vanilla flavor, it helped these pretzel bites stay moist as they bake up in the oven. I’ve found that different brands of instant pudding mix come in varying weights, so I measured out one ounce of mix by using my kitchen scale. <–affiliate link. 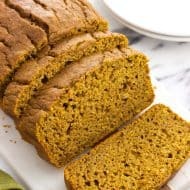 I cooked/baked for a while before buying a kitchen scale, and I have to say now I use it all the time because it makes things much easier! 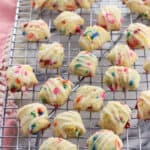 If you peep the background in some of the photos, you’ll see some traditional pretzel shapes along with these funfetti soft pretzel bites. While the dough holds together well to be shaped into pretzels, I didn’t roll the dough logs thin enough and I ended up with a few super puffy pretzels. 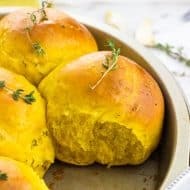 Obviously not a big deal, but it got me thinking that pretzel bites – made by rolling the dough into a log and slicing one-inch long segments – would just be easier. I’ve written the recipe below that way, but you could definitely try your hand at forming traditional pretzels, too. My word of advice would be to roll the dough thin thin thin and ‘exaggerate’ the empty space between the segments so they’ll still resemble defined pretzels once they’re baked. See my olive oil soft pretzel recipe for pretzel twisting instruction. Preheat oven to 350°F. Line 1-2 large baking sheets with parchment paper and lightly spray with cooking spray. Set aside. In a large bowl, whisk together flour, baking powder, and vanilla pudding mix. In a separate bowl, mix together yogurt, sugar, melted butter, vanilla extract, and butter extract until smooth and creamy. Once mixed, pour wet ingredients into bowl with the dry ingredients. Stir/knead everything together until a pliable dough forms. Add sprinkles and knead into the dough until evenly dispersed. Separate the dough out into eight equal sections and roll into a log around 1/2" thick. Cut 1-inch sections of dough to form the pretzel bites and place about 1 1/2" apart from one another on the lined baking sheets. Repeat for the remaining dough. Bake for approximately 11-12 minutes or until the pretzel bites are fairly firm to the touch and the tops only give slightly when pressed. 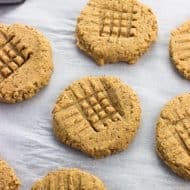 Because the recipe yields quite a few pretzel bites, you may need to back in two batches (hence the total recipe cook time listed at 22 minutes). Let pretzel bites cool for a few minutes on baking sheet, then transfer to a wire rack to cool completely. 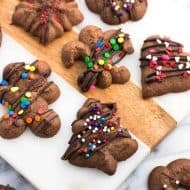 Once the pretzel bites have cooled, combine confectioners' sugar, softened butter, and vanilla extract in a bowl. Add milk 1 tbsp at a time and whisk, adding enough milk to reach your desired consistency. Drizzle glaze over the pretzel bites and let set before stacking/storing. The total recipe cook time factors in baking two batches (11 minutes each) of one or more baking sheets due to the number of pretzel bites this recipe yields. The photos in this post were updated in May 2017. DID YOU JUST PUT SPRINKLES INTO PREZTELS?? Hello, you’re like my new favorite person ever. Oh godness, I really really like these! They look amazing! What a great idea! Sprinkles make everything better. And your Valentine’s Day sounds perfect. Cozy nights in > nights out at crowded restaurants. Ummm sometimes I even put sprinkles in my morning yogurt when it’s exceptionally rough getting out of bed. Agreed! And I love, love cozy nights in, too. Looove soft pretzels…and sprinkles, so I couldn’t resist! And I definitely had more than one! I LOVE how festive these are!!! They look really good too. I loved hearing about your wings and wine on Valentines Day night! That sounds like my kind of party! Cheers! What a fun Valentine’s Day! I adore soft pretzels, and I’m not above using butter extract. I was suspicious until I learned that my grandma’s signature bundt cake contains it, and I’ve been on board since. I’m glad my initial misgivings were incorrect. Learning it was in something tried and true (and delicious) definitely would have quelled my trepidation a lot sooner! These look like a party waiting to happen. What a unique idea ! Thanks! They’re super festive, aren’t they?